As you can probably tell from the title, Michigan has added a home tilt for Sept. 24th against the Aztecs from San Diego State University to complete the 2011 schedule. This will be the 2nd meeting all-time against SDSU. The first meeting was back in 2004 at home, with Michigan prevailing 24-21. Hey wait a sec, he looks familair! 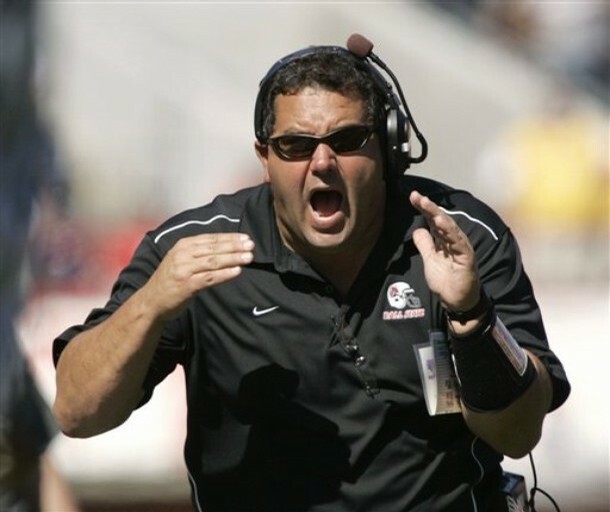 Thats right sports fans, its former Lloyd Carr assistant Brady Hoke! 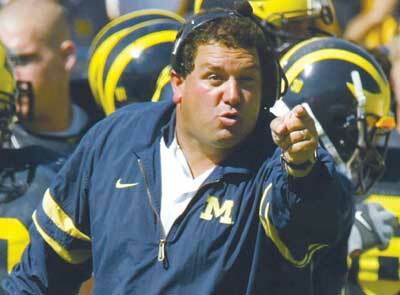 Hoke coached the defensive linemen at Michigan from 1995 to 2002. He was hired in 2009 after resigning his head coaching position at Ball State which he had from 2003-2008. In his first year at SDSU, he went 4-8. • 8 home games - Thank you. • All of September is played at home - Thank you again. • 3 November home games - Now we're getting spoiled. • NU and Minnesota back on the schedule in place of Penn State and Purdue. As far as the addition of the Aztecs to the schedule, I like it. I don't love it...I don't hate it. I like it. Where exactly is San Deigo?